Slurry Pump base, slurry pump frame, Slurry Pump Parts , Horizontal Slurry Pump base, horizontal slurry pump frame, horizontal slurry Pump Parts , Vertical Slurry Pump parts, Slurry Pump Spare Parts in China, Mining Slurry Pump parts, Centrifugal Slurry Pump parts, China Warman Slurry Pump parts, slurry pump impellers, Slurry Pump Wet End Parts. Slurry pump base part No. :B003,C003,D003,E003,F003.G003,FAM003,EAM003,FAM003,etc. 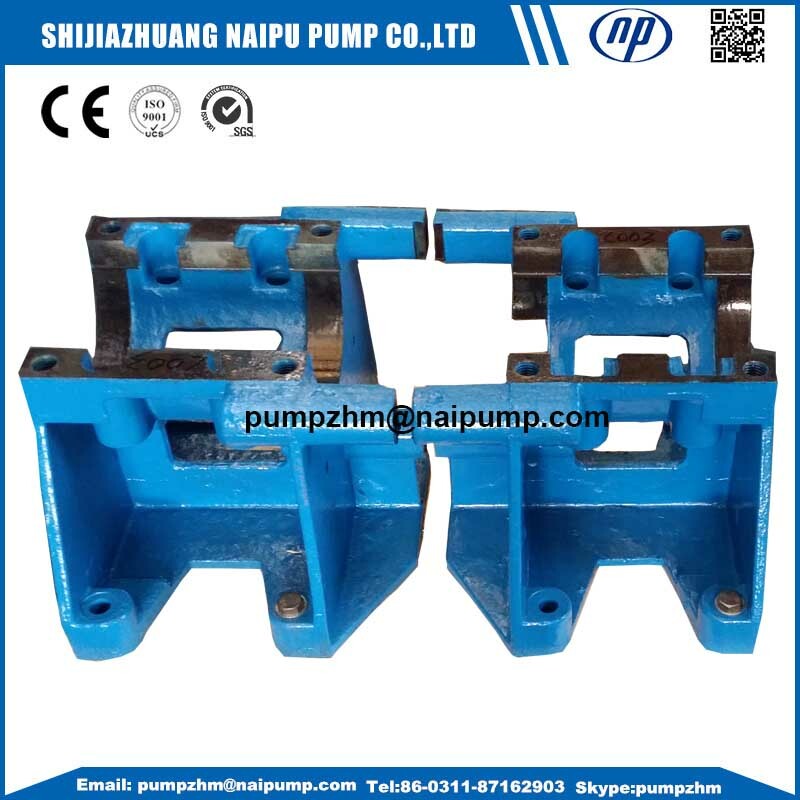 One-piece slurry pump frame---A very robust one-piece frame cradles the cartridge type bearing and shaft assembly. An external impeller adjustment mechanism is provided below the bearing housing for easy adjustment of impeller clearance. Slurry pump Base or slurry pump frame is the main part which handles the force from Pump casings, pump Bearing Assembly and the pulley of Motor. It stands above ground, support many robust blots to support the whole complete slurry pumping system. 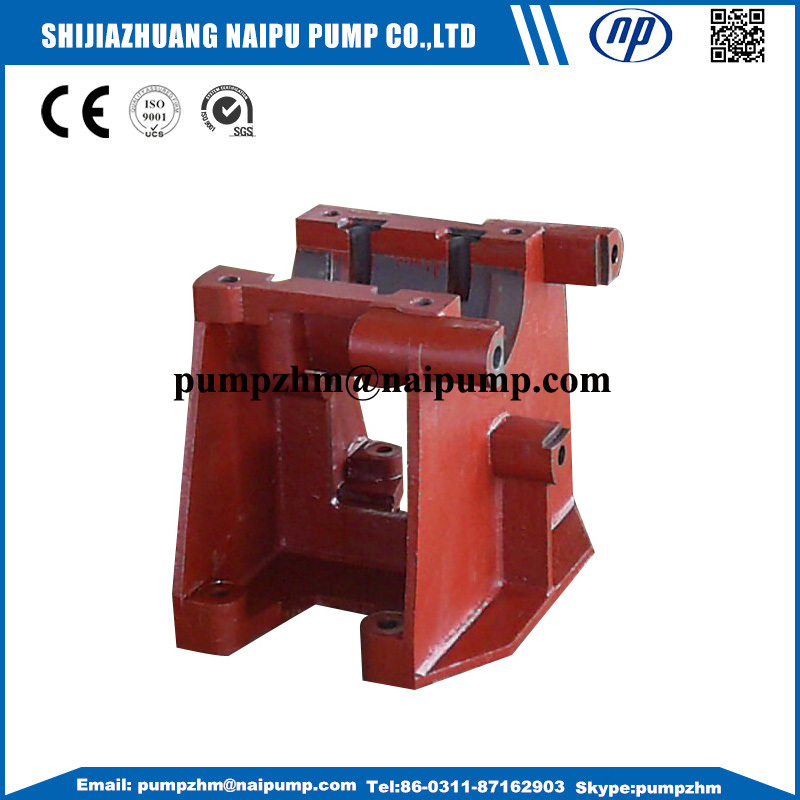 The strong pump base play a key role to maintain stability of slurry pump during pumping process. Naipu Ductile Iron Casting and Grey Iron material base meet your higher strength requirement. Ductile Iron has more higher physical properties and stronger shock resistance. Besides Slurry pump base or slurry pump frame ,we also produce Other Slurry Pump Parts,such as shaft sleeve,bearing assembly,bearing housing,etc. Bearing assembly--Bearing assembly also called rotor assembly, pump parts assembly. It is a large diameter shaft with short overhang minimizes deflection and contributes to long bearing life. Only four through bolts are required to hold the cartridge type housing in the frame. 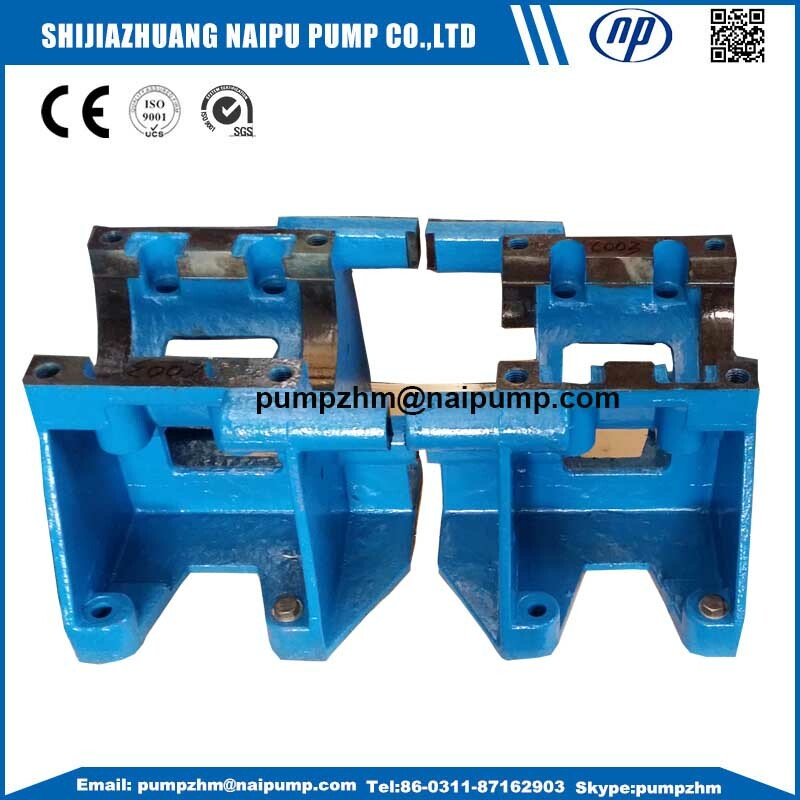 It is an important part of slurry pump and the most important part of drive power unit. The bearing assembly is to connect the pump and motor of a whole complete working system. 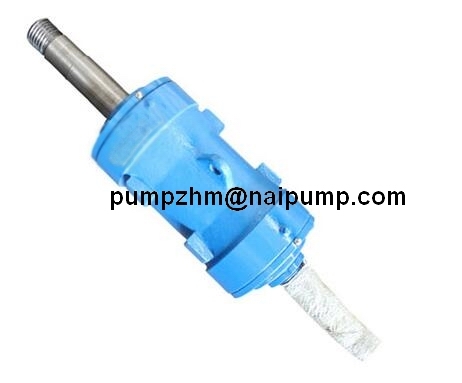 Its stability of operation will affect pump working and pump service life directly. 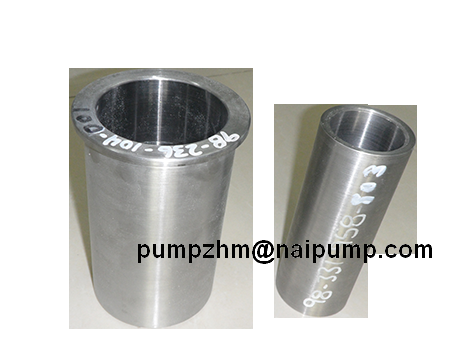 Slurry pump part also including shaft sleeve,slurry pump sleeve,ceramic shaft sleeve,OEM shaft sleeve,stainless steel shaft sleeve,etc. We proudly manufacture quality pumps whose parts are 100% interchangeable with most pump in international market. This means no more inventory hassles when you decide to use another pump supplier. Our spares are fully interchangeable with famous slurry pump brand in the world, for both horizontal slurry pump and vertical pump. Front and rear shrouds have pump out vanes that reduce recirculation and seal contamination. Hard metal and molded elastomer impellers are completely interchangeable. Cast in impeller threads require no inserts or nuts. High efficiency and high head designs are also available. 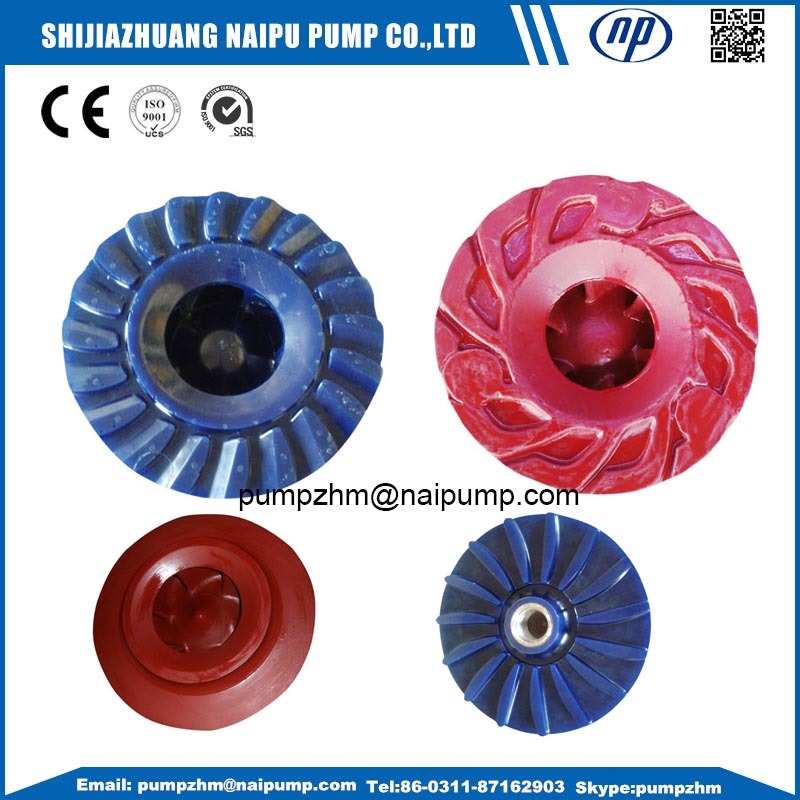 We also accept OEM slurry pump parts,such as OEM Slurry Pump impellers, OEM slurry pump cover plate liner ,slurry pump frame plate liner, cover plate liner insert,frame plate liner insert,etc. 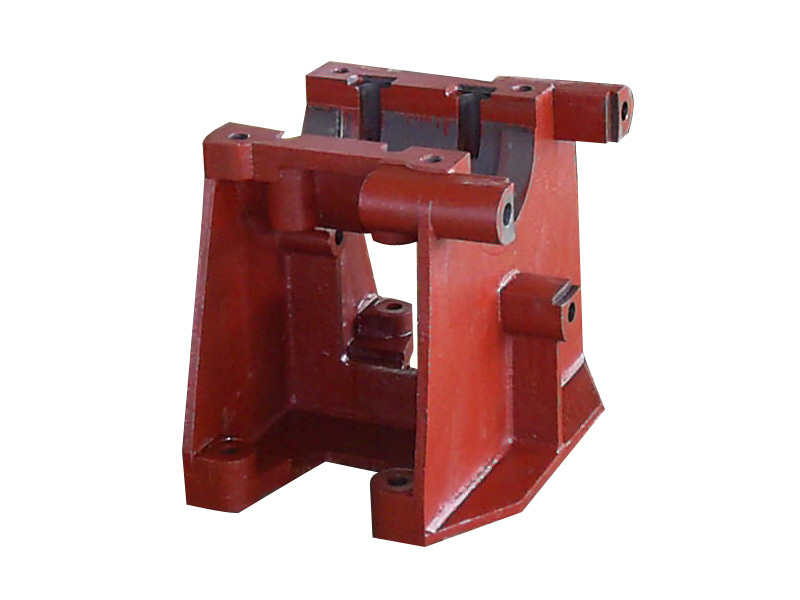 Looking for ideal Slurry Pump Parts Base Frame Manufacturer & supplier ? We have a wide selection at great prices to help you get creative. 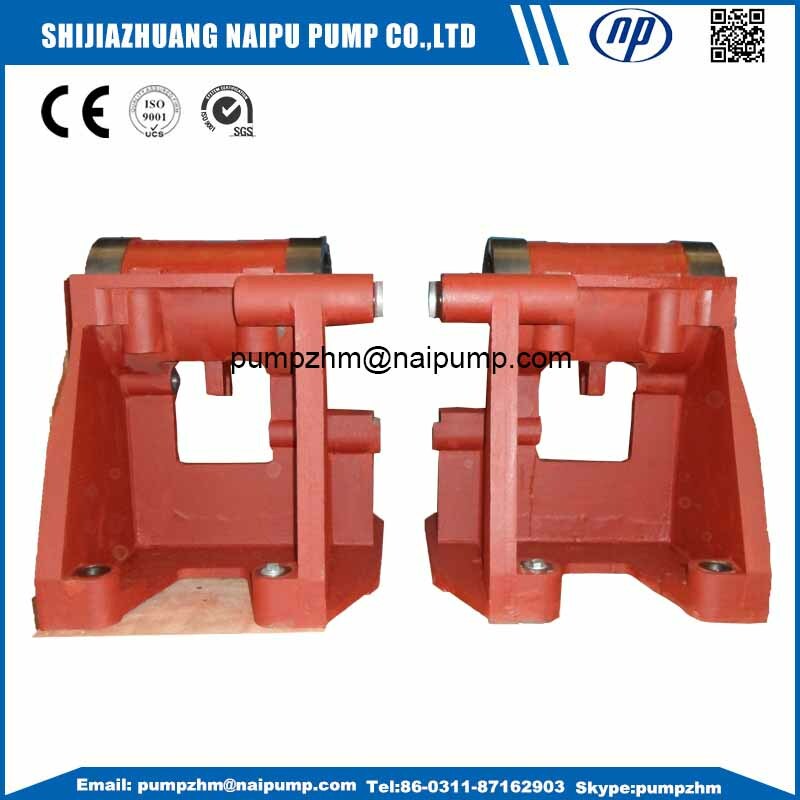 All the Slurry Pump Part Frame are quality guaranteed. We are China Origin Factory of Slurry Pump Part Base. If you have any question, please feel free to contact us.